haikProject encourages co-sleeping and /or bed-sharing with one or both parents, as the most natural and safe way of sleeping for the first years of child’s life, if taken a few necessary precautions. There are multiple physical and psychological advantages to the child, the mother and the family to share sleep in family bed or in arm’s-reach co-sleeper (on a different surface). 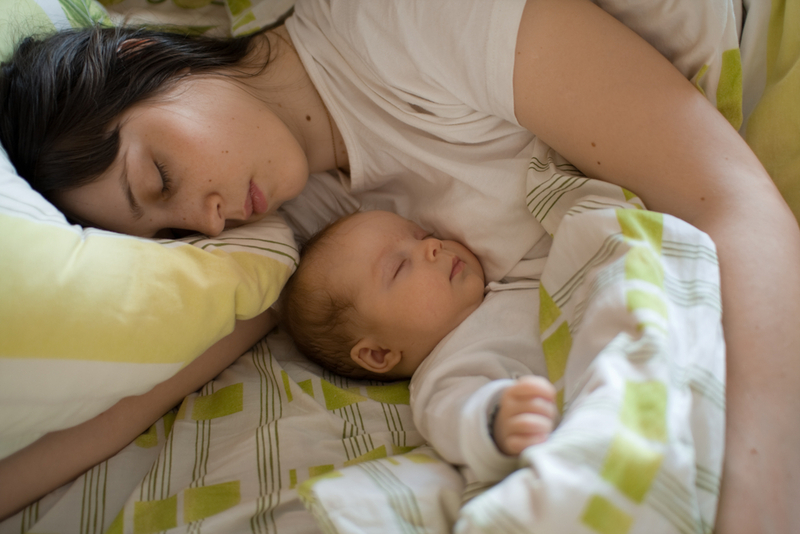 Co-sleeping and/or bed-sharing is a wonderful night-time parenting practice. Before the 19th century sleeping with the child was a norm all over the world. Over half of the world’s infants still sleep with their parents. It has been proposed that co-sleeping evolved for over 5 million years of our species. All mammalian species ensured their survival by sleeping in close proximity with their offspring. While there is no immediate risk of predators, human nervous system has evolved according to millions of years of sleeping patterns. The tiny newborn’s brain, heart and respiratory system are in tune to the mother’s or father’s breathing, movement, and skin-to-skin contact. Babies’ nervous system does not keep up with the fast-changing environmental and socio-cultural changes that instead offer solitary sleep in cribs, electronic bassinets, strollers and other gadgets. While the US consumer Product Safety Commission warns against so-sleeping/bed-sharing, the research that they use as a basis for their recommendation has been severely criticized for methodological flaws and possible bias. Attention: Co-sleeping and family bed sharing requires some precautions. Failure to follow these safety measures may put your infant at risk. Please attend our seminar for comprehensive discussion of safe sleep and baby-wearing. Attend our seminars or call for individual counselling. Sears W., Sears M. The Attachment Parenting Book: A Commonsense Guide to Understanding and Nurturing Your Baby. 2001 Little Brown and Company. Forbes, J.F. et al The cosleeping habits of military children. Military medicine, 1992 (196-200).